A statement sent to several media outlets by an alleged member of Al-Qaeda in Yemen claims the terrorist group is responsible for the Charlie Hebdo shooting and carried it out as a “revenge for the honor” of Prophet Muhammad. AP and The Intercept quoted a statement sent to them by a source within Al-Qaeda in the Arabian Peninsula (AQAP), commonly referred to as Al-Qaeda in Yemen. The statement, provided on condition of anonymity, says “the leadership of AQAP directed the operations and they have chosen their target carefully as a revenge for the honor of Prophet [Muhammad].” It directly refers to the Wednesday attack on French satirical magazine Charlie Hebdo, which resulted in 12 people killed. “If there is no check on the freedom of your words, then let your hearts be open to the freedom of our actions,” The Intercept quotes the statement as saying. The statement of the terrorist group’s affiliate, which is currently headed by Nasir al-Wuhayshi and is considered to be Al-Qaeda’s most proactive and dangerous branch, reportedly contains a chilling message to Western powers regarding their Middle Eastern policies. The statement boasts success in Al-Qaeda’s “policy of hitting the snake’s head” – which appears to be a metaphor for the group’s terror attacks inside the countries that led military invasions into Muslim states and confronted or hunted down Al-Qaeda militants. 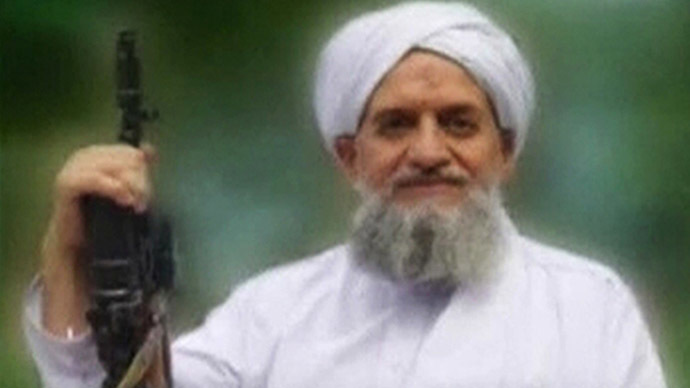 It praises the leadership of Ayman al-Zawahiri – the current head of Al-Qaeda and Bin Laden’s successor – and the jihadists “media policies.” Al-Qaeda’s glossy outlet Inspire is mentioned in particular, as it published the name of the killed French cartoonist Stéphane “Charb” Charbonnier in a wanted “dead or alive” list for caricatures of Prophet Muhammad. Meanwhile, one of the leading figures in AQAP, Sheikh Hareth al-Nadhari, had his new comments regarding the Charlie Hebdo attack posted on YouTube, Reuters reported. According to the clip, the Wednesday massacre in France was prompted by “insults to the prophets” and carried out by “the faithful soldiers of God.” Al-Nadhari, however, stopped short of claiming responsibility for directing the attack. The manhunt for Charlie Hebdo terror attack suspects Cherif and Said Kouachi dramatically ended on Friday. Both were killed in a shootout with police in Dammartin-en-Goele printworks north-east of Paris, while one policeman was injured. A worker who was taken hostage by the attackers was freed. However, there arose separate hostage situations, with at least one of them carried out by Kouachi-linked gunman Amedy Coulibaly. Coulibaly, a man of West African appearance who had also been wanted for the murder of a female police officer on Thursday, claimed that he was linked to the Islamic State (formerly ISIS/ISIL) jihadist group and “synchronized” his actions with the Kouachis in a brief prerecorded interview with French channel BFMTV. After killing four and taking 16 more people hostage at a kosher grocery store in Paris, Coulibaly demanded freedom for the Kouachi brothers besieged by police at the time. Security forces stormed the store with the help of a flash grenade and shot the hostage taker dead. Coulibaly’s wife and alleged accomplice Hayat Boumeddiene has been put on the police wanted list and is currently at large. Boumeddiene had exchanged about 500 phone calls with a companion of one of the Kouachi brothers, according to authorities. Meanwhile in the southern city of Montpellier, a gunman took two women hostage at a jewellery store without making any demands. The man’s motives were still unclear after he surrendered to police following nearly nine hours of negotiations, letting the hostages go unharmed. Local authorities denied the incident had any connection to this week’s terror attacks. “France has faced an unprecedented level of terrorism. We cannot exclude the possibility of new attacks against the country. France leads a real war against terrorism,” Valls said in a statement.